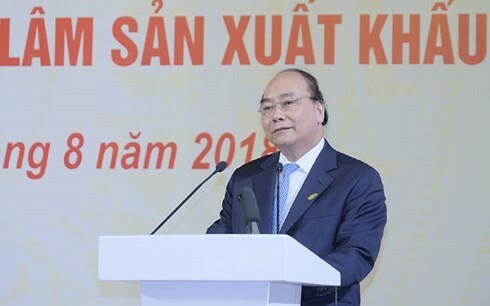 (VOVWORLD) - Prime Minister Nguyen Xuan Phuc chaired a meeting in Ho Chi Minh City on Wednesday on orientations and measures for fast and sustainable development of Vietnam’s wood processing industry and forestry exports. The event drew 300 enterprises, representing 4,500 wood processors and exporters. PM Phuc underlined the importance of wood industry, saying the government is determined to increase forest coverage to 42%, higher than the world average of 29%. He called for efforts to earn 9 billion USD from wood exports this year, 11 billion USD next year, and from 18 billion to 20 billion USD in 2025. The Prime Minister agreed on the need to adopt incentives to develop processing businesses and maximize Vietnam’s competitive edge, helping to generate jobs and shift the labor structure in rural, mountainous areas. Mr. Phuc called on sectors and businesses to strictly implement the 2017 Law on Forestry, which considers forestry a special technological economic sector linked in a product value chain, from management, protection, and development of forestry to the use, processing, and commercializing wood products. 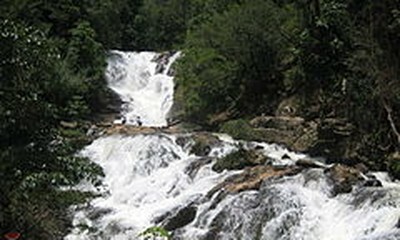 Vietnam ranks 5th in the world and 2nd in Asia in wood and forestry exports. Its products are sold in more than 120 countries and territories.